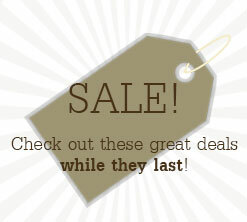 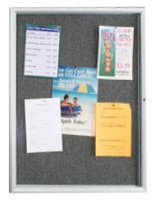 Common Size: 24" x 36"
Swing frame technology makes changing out notices easy! 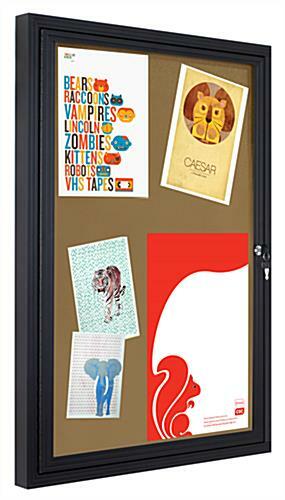 Lockable, so contents won't get stolen or damaged! 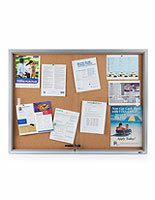 These cork bulletin boards for high traffic areas provide a reusable display surface on which to tack and re-tack messages pertinent to the public-at-large. 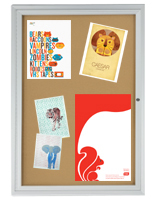 These indoor display for messages has an aluminum frame and a locking acrylic door to keep contents safe from sun damage, tearing, and theft. 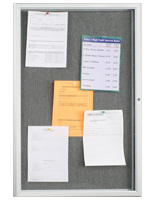 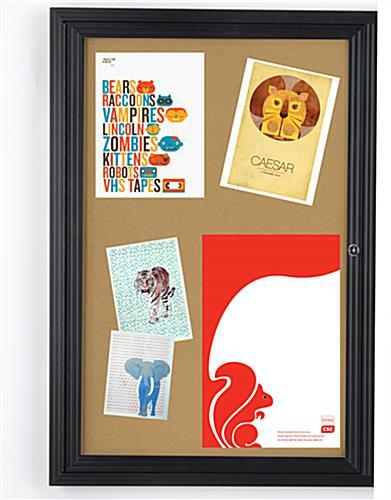 These cork bulletin boards that are school fixtures come with hardware for wall mounting and have swingframe technology, making it easy to update announcements. 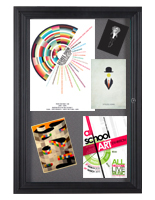 Placed in high-traffic areas, these aluminum enclosures disseminate information about scheduling, events, and news items; and showcase artwork or posters in a visible, central place. 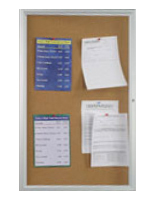 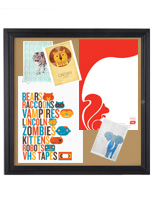 These cork bulletin boards for indoor use, also known as locking memo holders, have a lock and key to protect what’s inside the unit, so even artwork can go up! 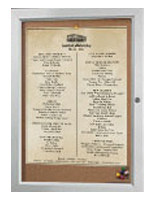 These accessories that are 2’ x 3’ inside the silver aluminum frame and will hold lots of varying notices and decorations. 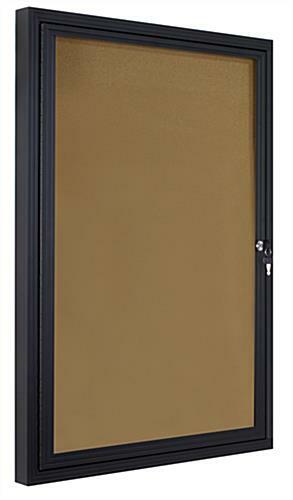 Each of these units has swingframe technology and a slim profile. 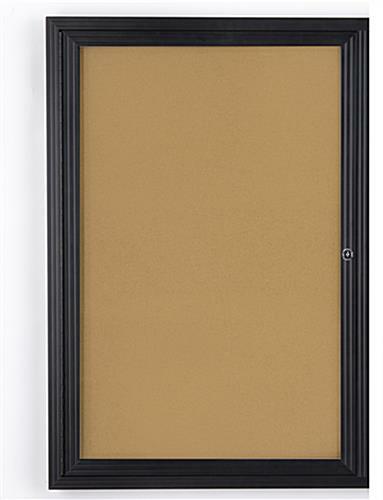 24.0" x 36.0" x 2.0"